Getting the right mobile app analytics platform for your mobile app platform can be tough. Despite ever growing demand for mobile app development capability and mobile optimization services, getting a clear view if what’s happening with the app and delivering it in a digestible form to your customers can be challenging. Successful mobile app development projects always start with the end in mind and in order for your clients app to be successful you need to develop a comprehensive series of KPIs and success measure. Today we’re focusing on the top 5 best mobile app analytics platforms for mobile apps. The best way to ensure success for your clients is to adopt a mobile app analytics platform that can provide the crucial data you require to optimise your app performance on an ongoing basis. Mobile is all about continuous data driven development and choosing the right analytics package represents a crucial challenge. If you’re developing a new app for your client, the time to start thinking about the right analytics package is now. When selecting the appropriate platform for your clients, there are a bunch of factors you need to consider early on. It’s worth noting that if you’re not building a native mobile app experience, that a web analytics platform such as Google Analytics may suit your client’s project requirements. You need to consider ease of integration carefully, the faster you can get up and running the better. Generally speaking the top mobile app analytics platforms will provide a slick and efficient onboarding process that enables you to get up and running in the shortest possible timeframe. If you’re developing apps for enterprise customers, you’ll need to think carefully about security and the ability to process mobile app data in real-time and there are a bunch of solutions that will enable you to achieve this. So if you’re an agency seeking to turbocharge the performance of your clients mobile app, there are a few KPI’s you might want to consider early on your project. You should seek to implement a solution that provides feature depth in relation to mobile app acquisition, activation, retention, referral and revenue. Selecting the appropriate KPI’s to track will ultimately vary from client to client depending upon their individual business goals and overall project requirements. 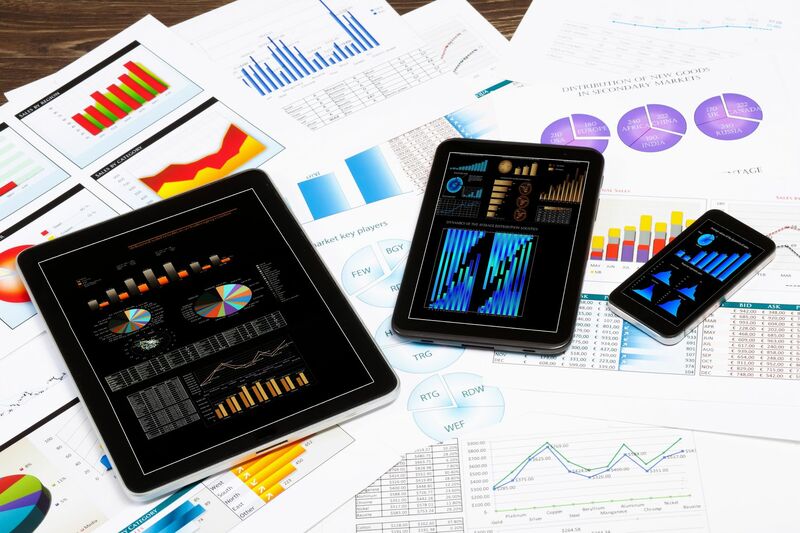 So without further ado, here are our top 5 picks for the best mobile app analytics platforms. One of the great things about Flurry is the fact it enables you to create a conversion based funnel for your clients mobile app, enabling you to focus on key data points. You can gather information on user devices, mobile carriers and app errors in order to provide a better experience for your app clients user base. Unfortunately, unlike some other analytics packages, Flurry won’t give you any real-time data points but is does offer a slick UI/UX that’s easy to use. Flurry is also trusted by some blue-chip companies such as Facebook and Google so you know you’re using a platform that’s tried and tested by some of the top players. Flurry is a great choice for your customers in terms of it’s free service. The dashboard can be slightly confusing and is prone to the occasional error but scores highly in terms of cost and functionality. Apsalar is a freemium platform for mobile app analytics. The platform possesses some great features and offers a quick entry point into the world of mobile app analytics. It’s easy to setup and provides enterprise ready measurement and intelligence for your clients mobile app project. The system is compatible with all iOS and Android apps and provides a scalable and robust way for your app clients to track the performance of their mobile projects. The software enables you to develop funnels, revenue tracking and events. It also enables you to segment your users into tightly themed groups enabling you to develop different, highly targeted messaging for each customer segment. As an agency owner/operator, this is something your clients will love and promises to deliver real value. One great feature of Apsalar is its uninstall analytics. Given one of the biggest challenges that that app owner face is churn, getting a good understanding of what could be driving uninstalls will go a long way to building a more loyal, more engaged user base. Apsalar possesses a free toolkit that enables you to measure the performance of your clients mobile app projects. The toolkit is fully equipped with some great features that provide data on the lifetime value and monetisation performance of your campaigns. Mixpanel offers a freemium service for mobile app analytics across iOS and Android. If you’re running a mobile app development agency and looking for a solution for your customers, the Mixpanel platform provides events based analytical tools for sharing, upgrade, account creation, purchase etc. The key to using Mixpanel effectively for your app customers is to define events and associated event properties for your mobile app. Once you’ve created your clients events and associated event properties there are a bunch of things that you can do. You can track events in isolation or you can create a sequence of event funnels. You can use clever tools within the analytics suite to measure your customers app to determine how often end users return to the app and engage with specific features and you can also build out complex queries associated with demographics and events. If your clients app stores user data, you can also associate data with a specific user and create segments for targeted push messaging, email and SMS campaigns. Mixpanel enables your app clients to assess app retention performance by focusing on frequency of use and helps you to understand which app features consistently cause users to interact and come back for more. Mixpanel’s pricing is pretty straight forward. Using the free version of Mixpanel you’ll be restricted to 25,000 data points each month. A data point is defined as being an individual event tracking session. As an example, if your client is developing a photo sharing app like Instagram, and you only track and monitor the number of photos shared, this could equate to 5,000 users sharing 5 photos each. The Mixpanel platform also provides an activity feed that provides a timeline view of user events and enables you to track revenue. Mixpanel is great because of the funnel visualisation functionality and in-depth analytical features. The platform possesses a slick UI/UX and is easy in terms of technical integration so you can get your customers apps up and running within the platform in a short timescale. The only downside to Mixpanel is the limited data points when using the free version of the software but this is a relatively minor criticism given the depth of features and functionality provided. If you’re running a mobile app development agency and looking for a decent mobile app analytics platform for your customers, Amplitude could be a great option for your business. The Amplitude platform offers a freemium model and covers multiple platforms including iOS, Android and Unity. In some ways, Amplitude is very similar to Google Analytics and Mixpanel, providing analytics for both mobile apps and the web. This is a great option if you’re a mobile app development agency with some web customers who also need a solution for analytics. This works well because it gives your app and web clients a clear analytical view across both channels in terms of how users discover and use your clients mobile app. But for the purposes of this blog, we’re interested in mobile app analytics and generally speaking Amplitude offers all of the key features, including behavioral cohorts, that your clients might require. The onboarding process is slick and straightforward and enables you and your customers to get to grips with the software quickly and downloading/installing the SDK can be done in a couple of minutes. The Amplitude SDK enables you to track your customers events, user activity, retention, revenue, funnels and behaviours. There is an SQL option within the Amplitude platform that enables your clients to gain custom data sets through the app. One drawback is that the SQL option is only available through the enterprise package. However, this option does enable your app clients to create a customised dashboard that wouldn’t otherwise be available through the free version of the service. One of the main drawbacks in relation to Amplitude pricing is the huge jump from the freemium model up to $995 per month for the enterprise version of the software. Given that the SQL option is one of the killer features, this may put off some mobile app development agencies off paying for the full service. Appsee is a freemium platform for qualitative mobile app analytics. Recognized by Gartner and Forrester as the industry leader in qualitative analytics, Appsee provides mobile app teams with actionable data on their in-app user experiences. Two of Appsee’s most acclaimed tools are its user session recordings and touch heatmaps. User recordings enable app pros to see exactly how users interact with their app. Basically, every action, event, and gesture is automatically tagged and recorded by Appsee’s technology and uploaded into a nifty session log. This allows app professionals to visually pinpoint errors in performance and usability. They can also see the exact causation of a particular crash. On a higher level, this real-time, qualitative data helps them understand the “whys” behind key numbers such as retention and conversion funnel metrics. Appsee’s user recordings can also be paired with Google Analytics user reports, A/B tests, and attribution campaigns via robust third party integrations. Appsee’s touch heatmaps aggregate all user gestures within an app, such as user taps and swipes. It then displays these interactions in a visual, color-coded overlay. With touch heatmaps, it becomes easy to get user feedback and track which parts of the interface are pulling in the majority of the users’ attention and which are being ignored. With no more than a quick glance, mobile professionals can also see where users are trying to interact with the app’s UI, without the app responding (known as unresponsive gestures). Integration with Appsee is pretty seamless. It only takes approximately five minutes to integrate the SDK and one line of code. Appsee also offers easy integration via Fabric.io. Appsee pricing starts with a free trial for small and startup sized teams. The free version of Appsee allows up to 250 user recordings and 2500 monthly sessions. When it comes to deciding which analytics platform to choose, the answer will vary depending upon the requirements of your app customer. Running a mobile app development agency is hard work, especially when it comes to developing recurring revenue streams, that’s why post launch app marketing services such as optimization are so great. In terms of building your mobile agency, it’s important that you focus on the needs of your client and adopt a solution that matches their commercial goals. After all, in order for your agency to grow and be successful, you need to triple down on what’s great for your customers. That means leading them towards a data driven development mindset and that’s why you need to think carefully about which platform to adopt. When it comes to analytics for mobile apps, there’s no silver bullet, we suggest you try them out and work out what feels comfortable.